Clive de Bruyn NDB. Clive has been a beekeeper since the 1960’s. 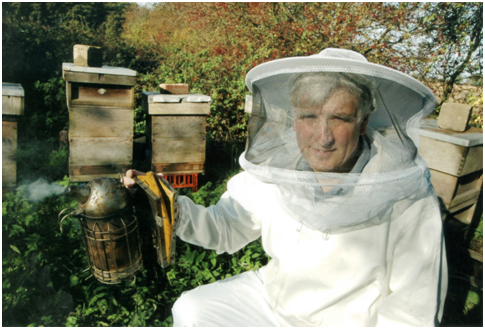 He is one of the best-known and respected beekeeping authorities in Britain and Ireland. Based in Essex, where he runs over 100 colonies for queen-rearing, honey production and pollination. He is a prominent member of the Bee Farmers’ Association, where he has been the Education Officer since 1982. 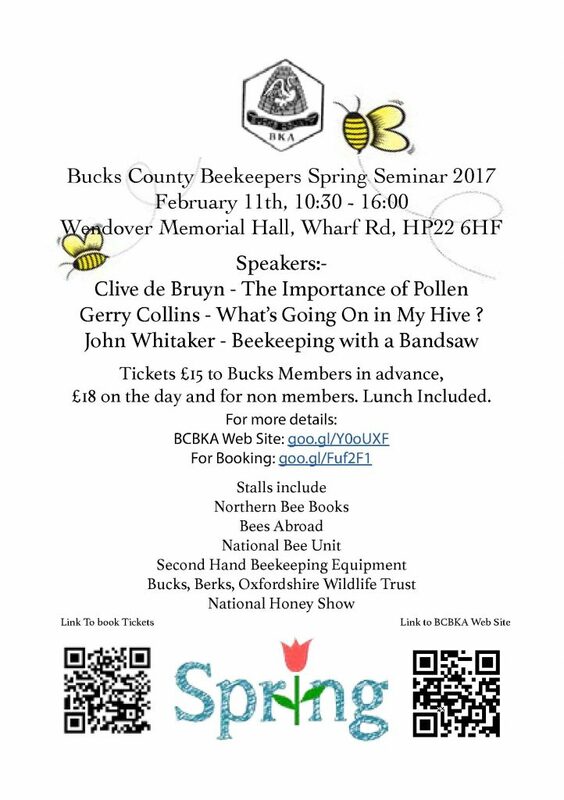 As well as being a bee farmer Clive has studied, worked and presented papers within an international forum for many years and done much work in third world countries. In addition, he has written several books including the indispensable “Practical Beekeeping”. Gerry Collins – What’s Going On in My Hive ? Gerry Collins M.Sc. B.Sc PGCE NDB. 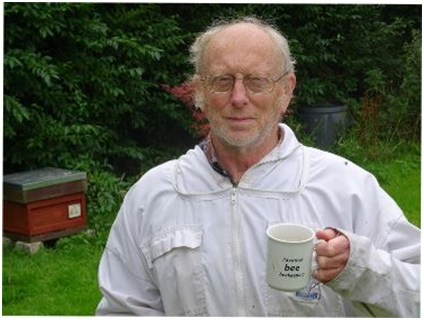 Gerry started beekeeping at Dudley grammar school in 1958 at the tender age of 11 yrs, passing the BBKA preliminary (now called the Basic) one year later. 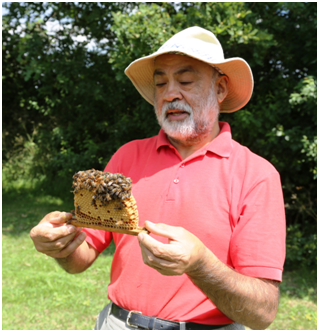 Today he is a Master beekeeper, Senior honey judge and gained the National Diploma in Beekeeping in 1986. He has served in various capacities at local, county and national level including 18 years as BBKA correspondence course organiser and 19 years on the BBKA examinations board (several as elected chairman). Currently President of Doncaster BKA & BBKA Examiner. Graduating in Zoology from the University of London (Royal Holloway College) in 1968 he has spent most of his working life in Yorkshire lecturing in Biology at Doncaster College retiring in 2007 to spend more time with his 25 colonies to enable him to build up an extensive collection of photographs which are used to illustrate his articles in the BBKA News and the presentations he has delivered at beekeeping conventions and association meetings throughout the UK. John Whitaker was born and raised in the Isle of Man. He worked on his grandfather’s farm during the school holidays where he learned to work long hours, get things done and love the countryside. His has a degree in Mechanical Sciences from Cambridge. In the seventies he and his wife packed their rucsacs and went travelling the world for almost three years. Settling down in Yorkshire they raised two children. After 40 years they have recently moved to Herefordshire to be more involved with their grandchildren. John has kept bees for almost 25 years, currently having about fifteen colonies. He was secretary of his local association for fourteen years, treasurer of Yorkshire BKA for eight years and is now on the BBKA examination board. The humbug and hubris of committees is all very well, but what he loves about beekeeping is putting on a beesuit, lighting the smoker and quietly getting on with managing the bees – oh – and a drink in the pub with fellow beekeepers. £18 on the day and for non members. Lunch Included.